Deep-fried frog legs (椒鹽田雞腿) - not too bad considering the fluffy batter, but my second piece seemed over-seasoned. Double boiled fresh ox bone and turnip soup (蘿蔔鮮牛骨清湯) - always love this, and tonight it was still really good. The turnip is meant to cool the body's constitution, but having a big bowl of hot soup on a hot summer day got us all sweating instead. Chinese lettuce with soy bean sauce (麵醬唐生菜) - with fermented soy beans. I took a second slice of the pig with the restaurant's XO sauce, which made it a lot tastier. I'm glad we got the annoying Chinese yam (淮山) taken out of the stuffing when we ordered. For dessert, we started with the usual steamed brown sugar sponge cake (欖仁馬拉糕), and since they no longer do the version in a big steamer, we had to order three of these... Not too bad, but there were visible differences in coloration among the three. To finish off, the wonderfully fluffy deep-fried egg cuillers (蛋散). I could never have enough of this... and I think our guest of honor liked this, too. I was initially worried about not having enough wine, but my fears were entirely overblown... and at one point I thought the crowd was weak and we'd have wine leftover. But we did manage to clear out everything in the end. Delamotte Brut - toasty and oaky. Very nice. 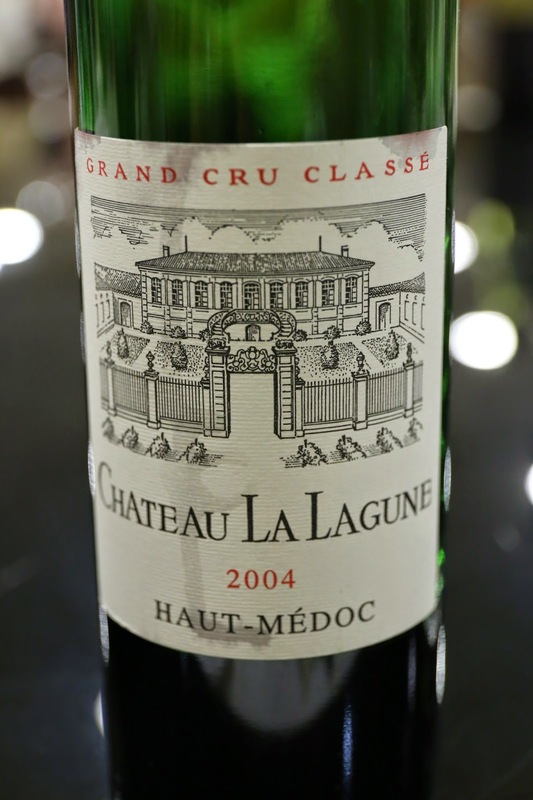 2004 La Lagune - shoe polish, smoky, minty, still pretty tannic with grippy finish. 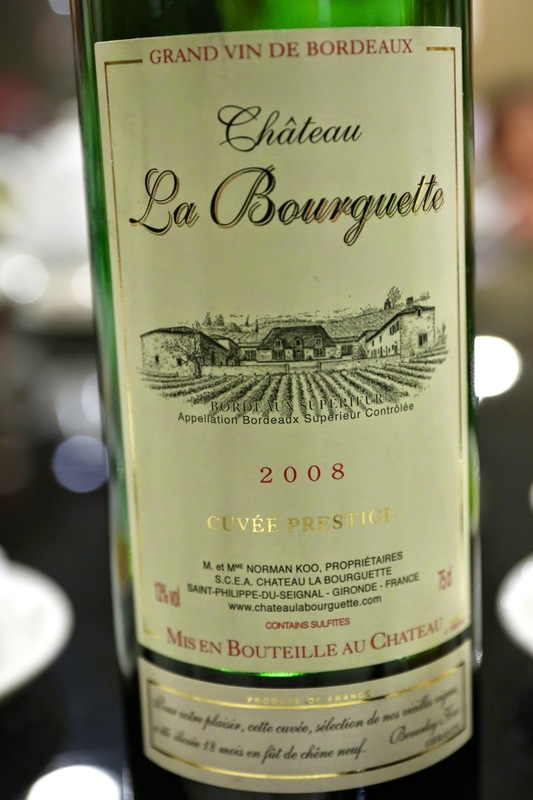 2008 La Bourguette Cuvée Prestige - opened the day before, so there was plenty of aeration. Fruity, sweet, ripe and stewed fruits and porty. Nose was still fine but the palate was pretty bleh by now. 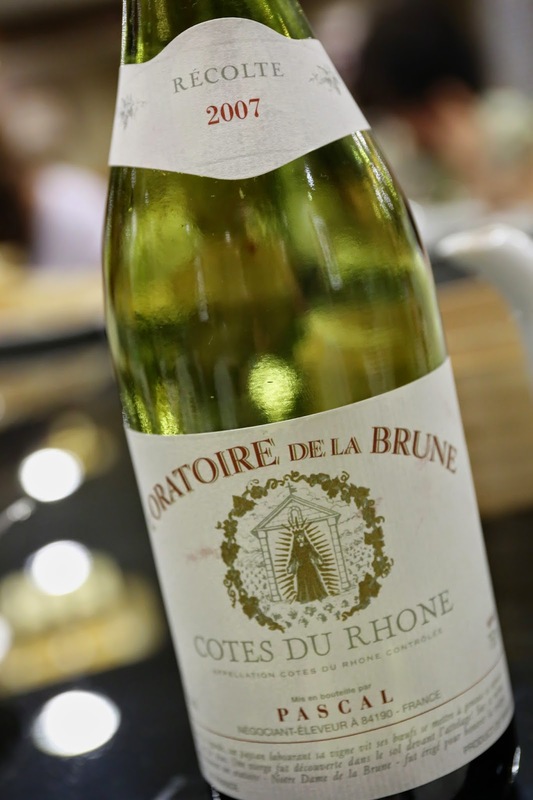 2007 Pascal Côtes du Rhône L'Oratoire de la Brune - the palate was a little bland, while the nose showed notes of tea and dried herbs. 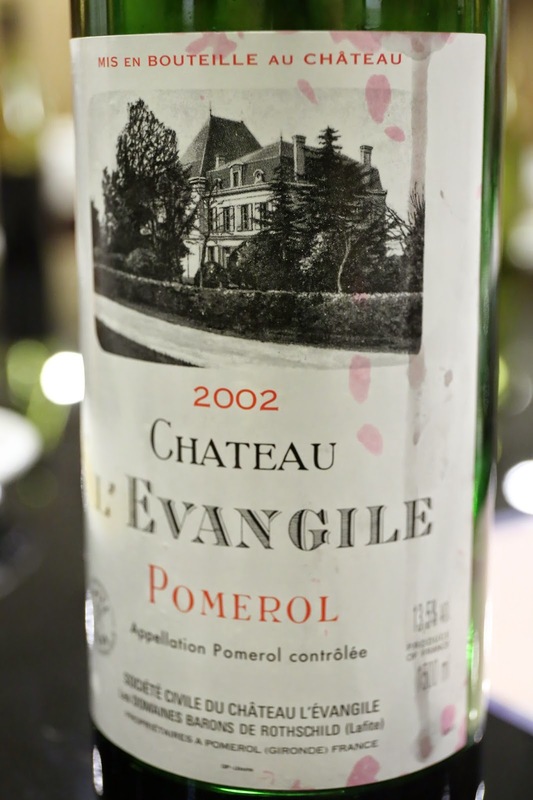 2002 L'Evangile en magnum - fragrant notes of coffee, dried herbs and a little smoky. Really enjoyed the nose... not bad at all.